We also offer the IBExpert Firebird bootcamp as corporate training at your premises. And you can now book the IBExpert Firebird 3 Bootcamp for your customers. Invite your customers, whether free of charge as part of your general customer care and service, as part of your own in-house exhibition or as a paid service for your customers, that's your decision. We can come to you and hold the bootcamp at your premises or other venue of your choice. 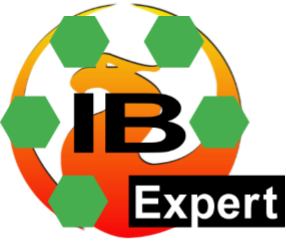 You can refer to the selection of topics and the duration of the events on our website: IBExpert Firebird 3 Bootcamp. Should you prefer a different selection of topics, that is not a problem: Just ask us - Anything that is possible, we are happy to do! Request our written quotation: sales@ibexpert.biz. * For the classic Bootcamp we recommend no more than 12 participants per event, so that we can cater fully to the heterogeneous clientele. Interested? Please mail sales@ibexpert.biz and we will send you our written quote. The fees apply to email bookings and immediate payment by bank transfer or using PayPal or Visa/Mastercard. The prices in our online shop are quoted excluding VAT! The number of places is limited. Should you have any further questions please contact sales@ibexpert.biz or call +49 (0) 4407 3148770.